Is the job of urban designers also to “tell stories”? 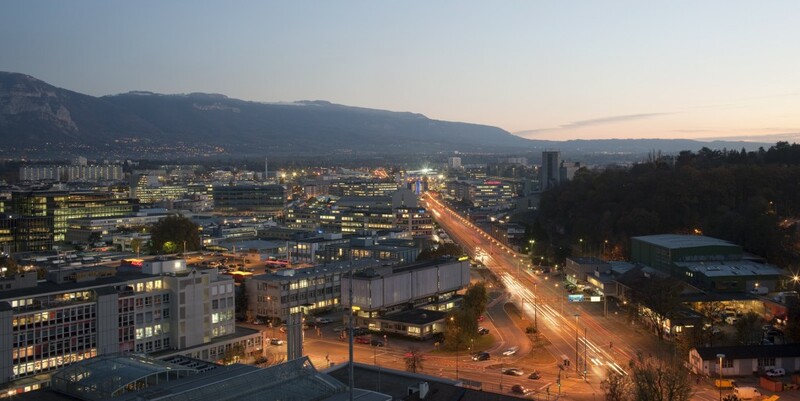 We talked to architect and urban planner Nathalie Luyet Girardet, who is in charge of a very important public redevelopment project, CEVA, in Geneva. Drawing on a conference organised by the Braillard Architects Association, on 11 September 2013, entitled “Making stories? From the tale of urban planning to fictional urban development: creating cities in a show-loving society”, Nathalie Luyet used concrete examples to explain the importance of having a story before developing our cities. 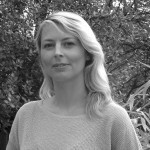 Good morning Nathalie Luyet Girardet, you have managed the development of the public spaces for the future stations for the CEVA rail connections (Cornavin – Eaux Vives – Annemasse) since May 2012. This project will transform the urban landscapes of the areas affected. How did you convince local inhabitants to accept these changes? Firstly, I’d like to point out several specificities about Switzerland. The acceptance of a project is based on cultural exchange and providing information. Urban planning is traditionally a discipline used by the military that draws on, among other practices, cartography. Urban planning remained closed until the 1970s when people began to realise that it wasn’t possible to build cities without involving their inhabitants. As urban planners we fit into this tradition. Ideas of openness and sharing came later because in a semi-direct democracy like ours we need to involve people and share information. We have a responsibility to citizens who are regularly consulted and are very politically aware – they have the right to have an overall vision of public actions. CEVA is a project which has been in the works for over 100 years – at the time, it is unlikely that the population would have been consulted. However, when it was decided to relaunch the project a century later this time people were given a say. The project was supported by nearly 70% of the population, which shows the importance of our ability to convince people. The CEVA project is quite complex as it involves making people understand that we are not only going to build a regional express train network, but also use this as a tool to develop the surrounding areas. Around the CEVA stations we are creating high quality public spaces, as well as shops, cafes and other elements to make these “station spaces” welcoming for rail users and local inhabitants. CEVA is also the opportunity to build 4,000 homes near the stations and connect these new housing areas to the city centre and local region. We want the population to understand the wider aim of this project and the advantages that it will bring to more than 240,000 people who live within 500m of a future CEVA station. How are we doing this? As well as creating building site cafés and providing information, we’re also using tools such as large banners showing future projects, an internet site explaining all the developments, events at stations where we meet future users to answer their questions and, above all, by participating at open door days organised on the different CEVA sites in summer 2013, which attracted nearly 180,000 people. We have implemented a participative process including round tables, which are often organised with charities and associations. The underlying idea is that local inhabitants are best placed to give us information about the area. This is a very important source of information for us. 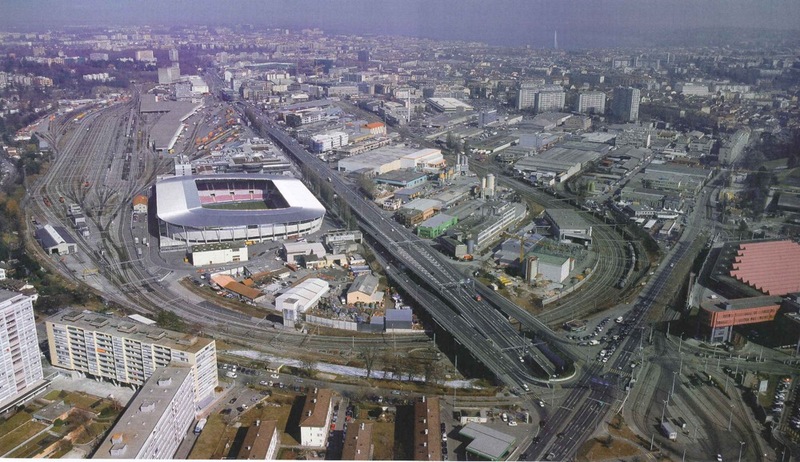 You are managing the redevelopment of Praille Accacias Vernets (PAV), 230 hectares near the historic centre of Geneva whose past is closely linked the railway, craftsmanship and industry. What strategy have you adopted in order to bring these spaces into the future? Firstly, it is important to highlight that the PAV is not an industrial wasteland. The land is occupied by 1,600 active companies. Our aim is to preserve the dynamism of this economic fabric. Although 85% of the area is public, it contains many companies who will stay in the stay in the area. In such a complicated environment it is essential to have an overall strategy that incorporates the aims of the different areas concerned. This is the objective of the directive area plan that we will present to the local population later this year. Once we start construction, we will develop each element step-by-step according to the opportunities we’re given to develop the area, whilst respecting the land and its existing features. In the PAV, there are many different overlapping needs including implementing a transport network, respecting environmental regulations, planning land use – and all this whilst remaining true to the original idea of creating an area as an extension of the city and not an isolated island. We hope to enhance the area’s unique features, for example, by uncovering numerous streams that are currently buried and preserving the special light. The real change is in the way the land will be used, as we are predominately constructing new housing. In order to get citizens behind projects, urban planners often use communication tools such as poster campaigns and exhibitions that make projects into a reality before they actually exist. To what extent is this fictional urban planning a tool for democratic debate? Fictional urban planning is a double-edged tool, which is very concrete. It is above all an excellent way for people to imagine the future. If you have to leave somewhere, it is important to imagine what will happen afterwards. We co-create this image with the local population. In the beginning, it’s just a dream, but the images become more precise. The story of a building site is really fascinating! The disadvantage of the technique is that, as the simulated images are very precise in 3D, people believe that the project will start tomorrow and that everything has been sorted out already. This is why I prefer using sketches to present ideas to the public. Drawings convey atmospheres and feed the imagination without giving the idea that the project is finished. The Swiss are fascinated by urban issues (73% of the population lives in cities). Local media feeds the imagination through stories that bring their cities to life. Has this passion for urban planning led the Swiss to become interested in street furniture, which is very much at level of users? This interest in developing their country is not new. There is both a passion for all things city-related and also a rediscovery of public spaces. I’ve noticed that when a city redevelops its spaces, users pay great attention to the street furniture. It’s as if we were redecorating their living room – and there’s absolutely no question of adding anything they don’t like! 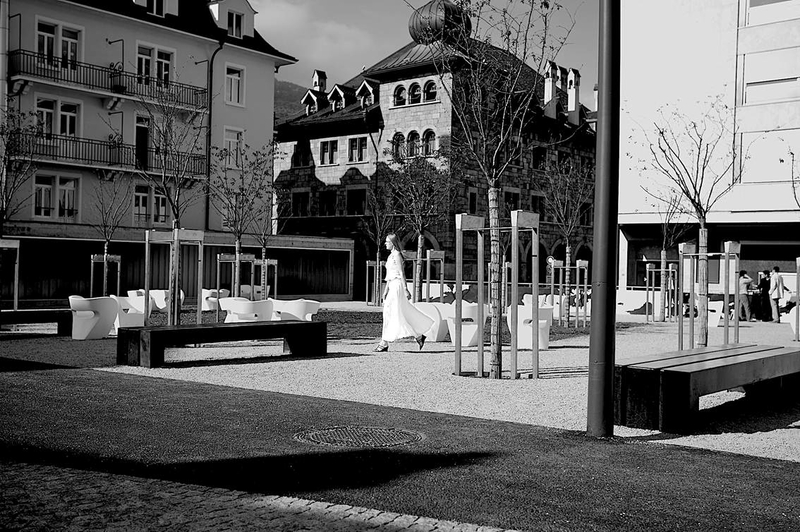 In Switzerland, some public spaces have even been rejected because of the street furniture. For example, we had to change all of the benches in a square in the city of Sion. The attention paid to street furniture also showed that the project had been successful and that people wanted to linger (as long as they were comfortably seated)! 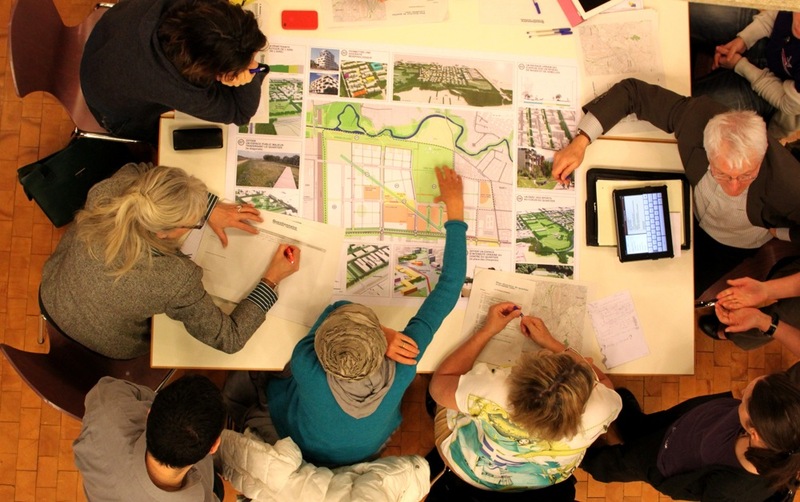 How do you think “story telling” by urban planners will develop? That is to say, how do you successfully manage the transition from fiction to reality? For me, this is part of a whole. An urban project is about more than just regulations and a project template, it is also a story to tell. We start by telling it to ourselves, as urban planners, and then we share it with others. I don’t claim to know whether a project will meet local needs in the future. In my opinion, it isn’t the aim that counts, but the journey we make to get there. It is important to tell the story of the project so that others support it and we can move forwards together around a shared idea. Many of the world’s cities were built like this, leaving room for the magic of chance and the unexpected. My job is simply to create conditions that make completing a project possible.